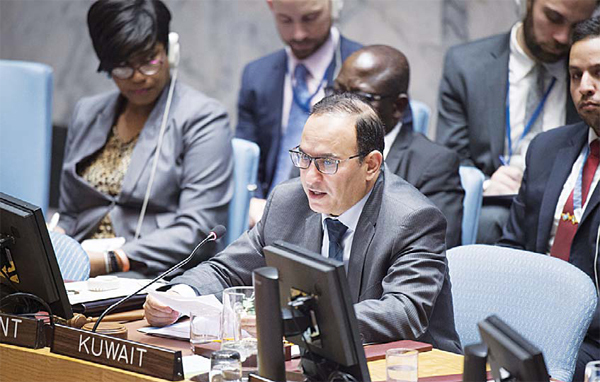 NEW YORK, April 24, (KUNA): Kuwait has called for further investing in youth’s education and capacity building to safeguard youth from criminal networks and extremist groups. 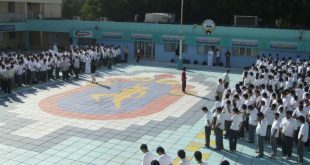 It is important to invest more in youth to build their potential and inculcate principles and values that stand as a bulwark against their exploitation by the networks of corruption and extremism, UN Permanent Delegate to the UN Ambassador Mansour Al-Otaibi said Monday at a special UN Security Council session on Youth, Peace and Security. He underlined the need for creating national, regional and international youth peace networks. He called for protecting youth and providing them with highquality education, especially in confl ict-affected areas. It is also of paramount signifi- cance to do all in power to materialize the sustainable development goals which are key for maintaining world stability and security, Ambassador Al-Otaibi said. He argued that these goals could only be achieved through the development of youth abilities and supporting organizations and civil society institutions serving them. 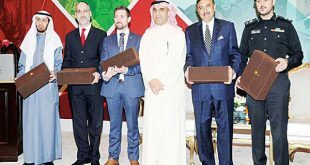 “We, in Kuwait, are aware of the importance of youth and their pivotal role in building future, so we established the Ministry of State for Youth Affairs in 2013,” he said. 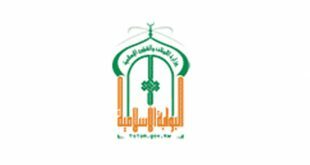 Al-Otaibi noted that the Ministry State for Youth Affairs was aiming to empower youth and improve their abilities to contribute effectively to the state building and society development as well as to spreading values of peace and tolerance. He pointed out that Kuwait was selected in 2017 as the capital of the Arab youth and on this occasion the country hosted a wide array of youth-focused cultural, sports, social and economic events. Al-Otaibi recalled His Highness the Amir’s Sheikh Sabah Al-Ahmad Al-Jaber Al-Sabah statement that youth are the most precious wealth of Kuwait and the best investment should be in honing their abilities, skills and talents; increasing their and knowledge; raising their awareness and protecting them from misguided ideas and deviant behavior; motivating them to further contribute to the development and progress of their homeland. He stressed that youth development was closely related to countries’ overall peace and security. Welcoming the Progress Study on Youth, Peace and Security that which had been recently submitted to the UNSC, Al-Otaibi said many young people struggled for access to education, health care, jobs and freedom to realize their rights to expression and participation. 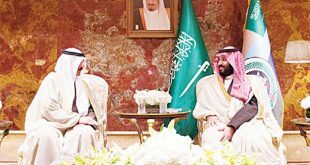 He lamented that unemployment rate among Arab youth was estimated at 30 percent — the highest in the world – as progress in education had not translated into decent jobs. He regretted that stereotypes, terrorism and the spread of conflicts across the region were destroying young peoples’ dreams and holding their innocence hostage. 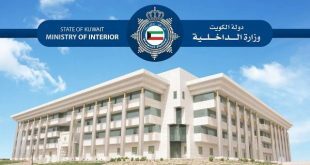 Meanwhile, Kuwait, represented by Minister of Finance Dr Nayef Al-Hajraf, will participate in the International Conference on Combating Terrorist Financing due in Paris on April 25-26. 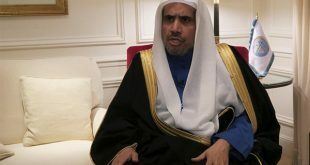 Kuwaiti Ambassador to France Sami Al-Sulaiman told KUNA on Tuesday that Kuwait’s participation, alongside more than 70 countries international and regional organizations at this conference, emphasized its keenness to support efforts to combat all forms terrorism and extremism. 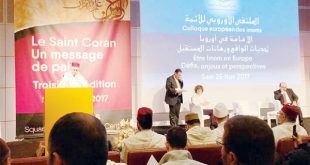 Al-Sulaiman pointed to the importance of this international conference to face financing terrorist organizations such as the so-called Islamic State Organization and Al-Qaeda. Financing of terrorist organizations threaten security and stability of the world, he said. The conference will be held at the headquarters of Organization for Economic Co-operation and Development (OECD) in Paris, where France’s President Emmanuel Macron will deliver a speech on international cooperation to fight terrorist organizations.